This application note was designed to use the Arduino Uno to turn on LEDs one after the another on the Pmod LED before turning off. Fritzing file displaying the connection of the Pmod LED to the Arduino Uno. 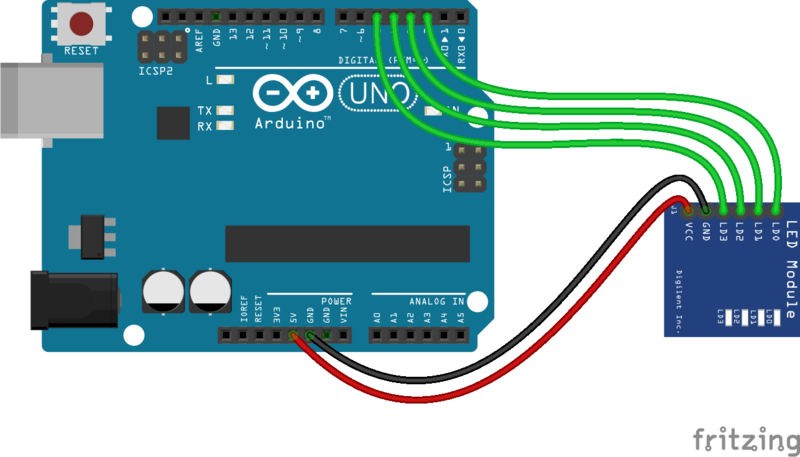 Fritzing image displaying the connection between the Pmod LED and Arduino Uno. Using this code will successfully turn the LEDs on one after another before turning off. * and then turn off.